was born in Velva North Dakota. He was one of a group of elite war correspondents dubbed “Murrow’s boys” because they were hired by pioneering broadcast newsman Edward R. Murrow. Sevareid was with CBS for 38 years. He died of stomach cancer July 9, 1992 at age 79. On this day in 1913, actor/announcer Bill Baldwin was born in Pueblo Colorado. He became the radio and television voice of hundreds of products, and was a war correspondent for the NBC Blue network in WWII. He served as national president of the American Federation of Radio & TV Artists (AFTRA) in the early 70’s. As an actor he appeared in a number of TV series, including ‘Hawaii Five-O,’ ‘Ironside,’ ‘The Beverly Hillbillies,’ and ‘Marcus Welby, M.D.’ He succumbed to cancer Nov. 17 1982, nine days short of his 69th birthday. On this day in 1920, TV & stage director/actor Daniel Petrie was born at Glace Bay, Nova Scotia. His career spanned 50 years, during which time he won 8 Emmys. He directed the TV series Joe & Mabel, the Hidden Room, Stud’s Place, Eleanor & Franklin, The Dollmaker and a number of productions in Studio 1. Petrie succumbed to cancer Aug. 22 2004 at age 83. On this day in 1922, cartoonist Charles Schulz was born in Minneapolis. His Peanuts specials have become TV classics, including A Charlie Brown Thanksgiving  for which he won a writing Emmy. He died Feb 12, 2000 at age 77 after a heart attack. 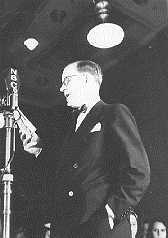 On this day in 1927, Ernie Coombs (CBC’s “Mr. Dressup”) was born in Lewiston, Maine. He passed away Sept. 18, 2001 at age 73. His children’s program ran from 1967 to 1996. On this day in 1933, singer Robert Goulet was born Stanley Applebaum in Lawrence, Mass, but within months his family moved to Northern Alberta. He worked as disk jockey on Edmonton’s CKUA for two years and was a semi-finalist on CBC TV’s “Pick the Stars” in 1952. He spent a summer at Vancouver’s Theatre Under the Stars. In 1955 he became a regular on CBC TV’s Cross Canada Hit Parade. He was awarded a Grammy as the best new artist of 1962. His best-selling album was the million-selling 1964 release “My Love Forgive Me,” which reached No. 5. Goulet died awaiting a lung transplant Oct. 30 2007 at age 73. 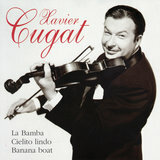 On this day in 1940, Xavier Cugat and his orchestra recorded Orchids in the Moonlight on the Columbia label. On this day in 1945, the daily radio program, “Bride and Groom”, debuted on the NBC Blue network. It is estimated that 1,000 newly-wed couples were interviewed on the program before it left the airwaves in 1950. Also in 1945, jazz trumpeter Miles Davis made his first recordings, as a member of a group led by alto saxophonist Charlie (Bird) Parker. Also in the group that recorded for the Savoy label in New York were trumpeter Dizzy Gillespie, pianist Argonne Thornton, bassist Curly Russell and drummer Max Roach. Davis would stay with Parker’s band until 1948. On this day in 1950, the No. 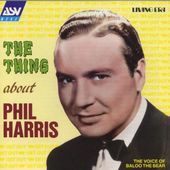 1 Billboard Pop Hit was the novelty “The Thing” by Phil Harris. On this day in 1952, the 40th Grey Cup game became Canada’s first televised football game as CBLT-TV showed hometown Toronto Argonauts beating Edmonton Eskimos 21-11. On this day in 1956, bandleader Tommy Dorsey choked to death in his sleep, after a big meal, at age 51. His records allegedly sold more than 110,000,000 copies. Also in 1956, “The Price Is Right,” hosted by Bill Cullen, debuted on NBC-TV as a half-hour feature. This first incarnation of the long-lasting game show ran for nine years – although the last two were on ABC. The hour-long CBS show as we know it today premiered in 1972 with Bob Barker as host. On this day in 1958, Johnny Cash made his first appearance on the Billboard country chart when ’Cry! Cry! Cry!’ made it to number 14. His next seven singles would all make the country top 10, with ‘I Walk the Line’ and ‘There You Go’ both hitting number 1. 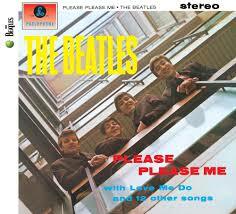 On this day in 1962, The Beatles recorded “Please Please Me” and “Ask Me Why” at the EMI studios in London. On this day in 1964, The Zombies recorded their 2nd hit “Tell Her No,” written by their keyboardist Rod Argent. On this day in 1968, Cream gave a farewell performance filmed by the BBC in London. The rock group played before a capacity crowd at Royal Albert Hall. Guitarist Eric Clapton and drummer Ginger Baker continued working together in the band Blind Faith. On this day in 1969, The Band received a Gold Record for the album, The Band. Also in 1969, John Lennon was at work in the Abbey Road studios mixing the Beatles songs “What’s The New Mary Jane” and “You Know My Name (Look Up The Number)” intended as two sides of a Plastic Ono Band single. But when “Number” was actually released as the B-side of the Beatles’ “Let It Be” single it would become the last song of the Fab Four that John worked on. On this day in 1975, the Canadian Radio-Television Commission ordered Canadian TV cable companies to black out identical US programs available on Canadian television at the same time. The CRTC rules were designed to help Canadian stations & Canadian advertisers. On this day in 1980, British actress and pinup model Rachel Roberts died of barbiturate poisoning in an act of suicide at age 53. Her American TV credits include The Tony Randall Show, Hallmark Hall of Fame, & Marcus Welby MD. Also this day in 1982, the No. 1 Billboard Pop Hit was “Truly” by Lionel Richie. The song was the first No. 1 hit for Richie since he left the Commodores. On this day in 1985, comedian Ransom Sherman, a radio partner of Garry Moore on Club Matinee out of Chicago, died at age 87. Moore often referred to Sherman in later years as “the man who taught me all I know”. On this day in 1989, The Rolling Stones played a concert at Clemson University in South Carolina to help raise money for the victims of Hurricane Hugo. On this day in 1990, MTV, the U-S music video channel, said it wouldn’t play Madonna’s video for “Justify My Love.” Canada’s MuchMusic soon followed suit. MTV deemed the video’s fantasy sequence which included bisexuality, mild sadomasochism and exposed female breasts — not Madonna’s — too risque for airplay. Warner Reprise Video promptly announced they would release the clip for sale, moving a quarter-million copies in the initial shipment. Also on this date in 1990, Matsushita Electric announced it was buying the entertainment giant M-C-A for about 6.6-billion dollars U-S. It was the largest-ever Japanese purchase of a U-S company. The deal, combined with the previous year’s purchase of C-B-S by Sony, left only one major American record company in U-S hands — Warner Brothers. 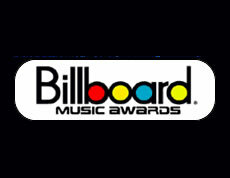 Still in 1990, the inaugural Billboard Music Awards were held in Santa Monica, California.Janet Jackson was the main winner of the night, winning in eight categories, including Top Pop Album, Top R&B Album and Top R&B Artist. On this day in 1991, native American actor Dehl Berti died of a heart attack at age 70. He is perhaps best remembered for his role on the series Paradise, but also had recurring parts in Buck James, Operation Neptune, The Edge of Night, and voices on A Pup Named Scooby-Doo. Also in 1991, ABC-TV aired the musical special “The Gladys Knight Holiday Family Reunion,” also starring Dionne Warwick, Melba Moore, and the Winans. 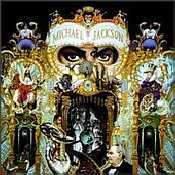 Still in 1991, “Dangerous,” Michael Jackson‘s first album in four years, was released in Canada and Japan. The album had already been available for four days in Europe and would come out in the U-S the following day. Initial shipments were reported at nine-million copies worldwide. On this day in 1994, The Eagles‘ Hell Freezes Over, signaling the band’s reunion (after fourteen years), hit #1 (for two weeks) on U.S. album charts. Also in 1994, the first Beatles record ever to be played on radio fetched more than 23-thousand dollars Canadian at an auction in London. It was a world record price for a commercially produced record. The recording of “Love Me Do” was played by Radio Luxembourg in 1963. On this day in 1995, Alice In Chains was at No.1 on the US album chart with their self-titled album. Garth Brooks‘ “Sevens” broke a record by placing 12 of its 14 songs in the Hot Country Singles and Tracks Chart in Billboard Magazine. The previous record holder? Garth Brooks’ “Fresh Horses,” which scored with eight tracks. On this day in 1999, 98 Degrees performed several songs and sold some exclusive band merchandise on the Home Shopping Network. On this day in 2001, at the annual Royal Variety Performance in London, Elton John, Cher, Jennifer Lopez, and Donny Osmond performed for the Queen. The show played on the UK’s Granada Television two nights later. 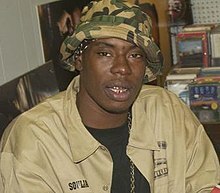 On this day in 2003, rapper Soulja Slim was shot to death in front of his home in New Orleans aged 25. Also in 2007, a limited number of Takamine acoustic guitars signed by The Eagles were sold exclusively online at SamsClub.com. The $2,500 guitars raised money for the Walden Woods Project, an organization founded by drummer/vocalist Don Henley to help preserve the site treasured by environmentalist Henry David Thoreau. 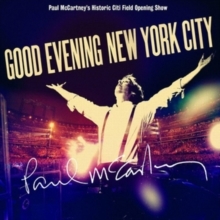 On this day in 2009, ABC-TV aired Paul McCartney: Good Evening New York City as a one-hour special on Thanksgiving night. On this day in 2012, the Black Keys and their producer, Danger Mouse, settled a lawsuit against Pizza Hut for copyright infringement over the misuse of two “El Camino” tracks – “Gold On The Ceiling” and “Lonely Boy” in a commercial. The settlement details were kept private. On this day in 2013, actress Jane Kean, a diverse performer who got her start in musical theater but was best known as Norton’s wife Trixie alongside Jackie Gleason and Art Carney in TV’s The Honeymooners, died following a fall at age 90. Also in 2013, actor Tony Musante, who took down drug dealers in his portrayal of a real-life New Jersey detective in the 1970s ABC series Toma, and later played a mobster in HBO’s prison drama Oz, died following surgery at age 77. Still in 2013, Rogers Sportsnet cable channel announced a $5.2 billion, 12-year agreement with the NHL for Canadian rights to all games through the 2025-26 campaign—including all playoffs and the Stanley Cup Final. On this day in 2014, one month after being fired by the CBC, radio host Jian Ghomeshi turned himself in to Toronto police and was charged with four counts of sexual assault and one count of overcome resistance. He was released on $100,000 bail with the condition he had to live with his mother. In February 2016 a judge dismissed all charges based on the reasonable doubt left by the evidence at trial. On this day in 2015, R & B and doowop bass singer Ronnie Bright died at age 77. For more than 40 years (1968-2009) he was a member of The Coasters. 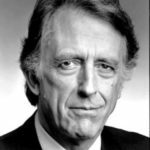 On this day in 2016, character actor Fritz Weaver died at age 90. He guested on TV from the early days of live drama until the year of his death, including seven TV movies in the ’90’s alone. In cinema, he is best recognized from his debut film Fail Safe (1964), as well as Marathon Man (1976). Ottawa-born impressionist Rich Little is 80. Singer Tina Turner is 80. Singer Ray Brown (2nd generation Four Freshman member) is 80. Singer Jean Terrell (replacement for Diana Ross in The Supremes) is 74. Actor Daniel Davis (The Nanny) is 73. Bassist John McVie (Fleetwood Mac) is 73. Toronto-born actor/writer Don Lake (The Bonnie Hunt Show, Bonnie, Watching Ellie, Bill & Ted’s Excellent Adventures) is 62. Actor Scott Jacoby (One Life to Live) is 62. Actress Elizabeth Savage (Loving, General Hospital, Image Workshop) is 62. Actress Jamie Rose (St. Elsewhere, Falcon Crest) is 59. Actress Marcy Walker (Santa Barbara, All My Children) is 57. Country singer Linda Kaye Davis is 56. Actress Cynthia Lea Clark (Trauma, Days of Our Lives, General Hospital, Chicago Story) is 54. Actor Scott Adsit (30 Rock) is 53. Model/actress Garcelle Beauvais (The Jamie Foxx Show, NYPD Blue) is 52. Actress Kristin Bauer von Straten (True Blood, Two and a Half Men, Total Security) is 52. Victoria-born actor Ryan Robbins (Arrow, Falling Skies, Sanctuary) is 46. Hamilton Ont.-born actor Adam Harrington (TURN: Washington’s Spies, Whistler, Out of Order) is 46. Actor Peter Facinelli (Supergirl, American Odyssey, Nurse Jackie, Damages, Fast Lane) is 45. Actress Tammy Lynn Michaels (Committed, Popular, The L Word) is 44. Actress Maia Campbell (In the House) is 42. Actress Jessica Bowman (Dr. Quinn, Medicine Woman; The Road Home) is 38. Singer Natasha Bedingfield is 37. Actress Jessica Camacho (Last Resort, Sleepy Hollow) is 36. Singer-guitarist Mike Gossin of Gloriana is 34. Drummer Ben Wysocki of The Fray is 34. Singer Lil Fizz (82K) is 33. Actoe Trevor Morgan (Empire Falls, The Flannerys) is 32. Singer Aubrey Collins (Trick Pony) is 31. Actor Hafpór Júlíus Björnsson (Game of Thrones) is 30. UK actress Tamsin Egerton (Camelot) is 30. Actress Katie Sagona (Guiding Light) is 29. Actor Edward Gelbinovich (Louie) is 29. UK singer/talent show judge Rita Ora (The X Factor) is 28.